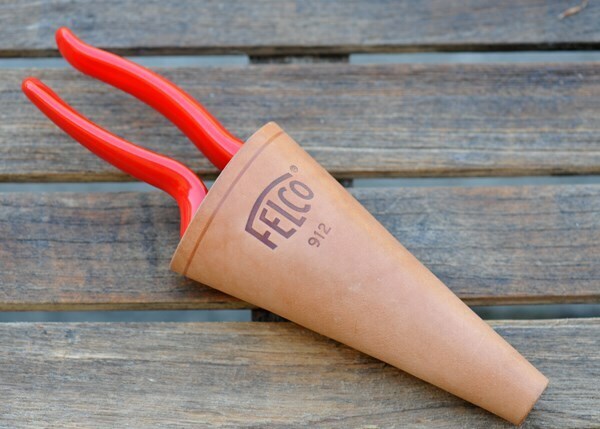 Buy Felco leather secateur holder: <br><ul><strong><li>Heavy duty leather</li><li>Includes clip</li><li>Holds all Felco secateurs</li></strong></ul><br>Keep heavy secateurs safe and easily accessible in this sturdy leather holder. 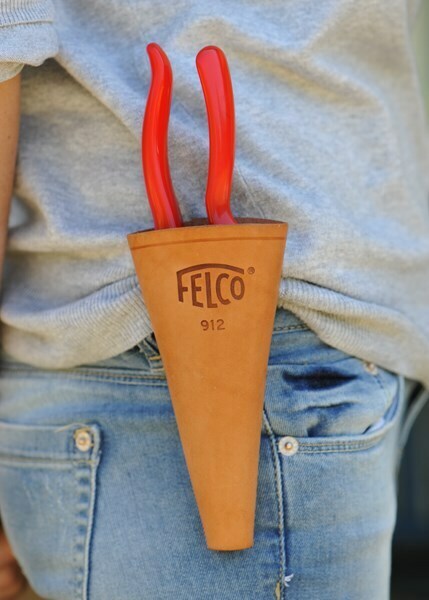 <br><br>Made in the USA from heavy-duty grain leather, the slimline cone-shaped holster is reinforced with waxed thread and extra riveting for long-lasting use.<br><br>The holster is designed to fit all Felco secateurs and includes a strong belt clip for attaching it to your belt, pocket, bucket or barrow. 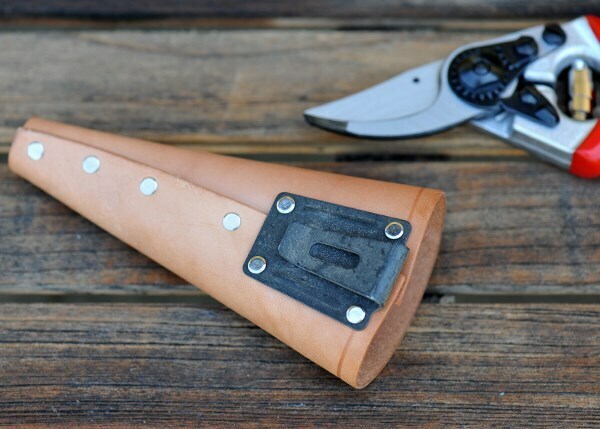 Keep heavy secateurs safe and easily accessible in this sturdy leather holder. 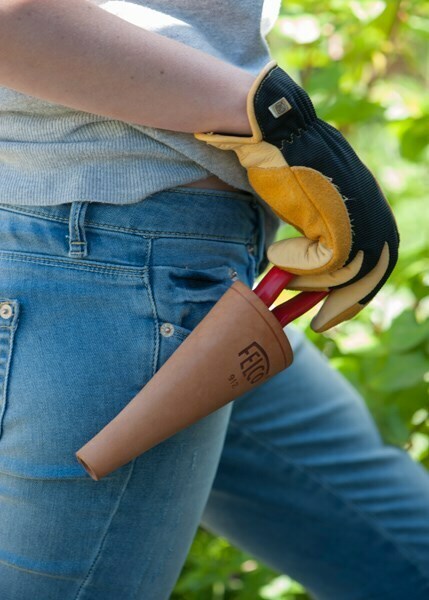 Made in the USA from heavy-duty grain leather, the slimline cone-shaped holster is reinforced with waxed thread and extra riveting for long-lasting use. The holster is designed to fit all Felco secateurs and includes a strong belt clip for attaching it to your belt, pocket, bucket or barrow.